Orson Scott Card has been busy lately. He recently released a YA book called Pathfinder (a review of which will be posted in the near future), and he has another book coming out soon. 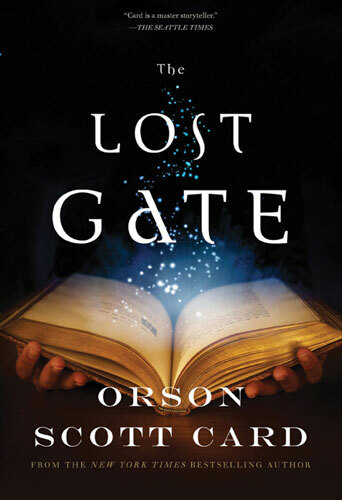 Being released on January 4th, 2011, The Lost Gate is the first book in his Mither Mages Trilogy. Tor.com has an exclusive preview of the story; you can read the article and excerpt here (You need to register on Tor’s website to view the chapter, but it’s free and only takes a second). Card is creating not one magical world for this series, but two—an Earth where the exiles of Westil have lived in isolation for almost 1500 years, and Westil itself, also cut off from the power of the Great Gates, dwindling but holding the memory of a time when greater magic was possible. For this first book, the two worlds remain separate – but there is a promise implicit in the birth or rebirth of a gatemage in each world. It starts small, one boy in the hills of Virginia. It won’t stay that way. Next postWant to Write Role-Playing Games?